Tender Loving Care was an experiment in interactive cinema while Privateer 2: The Darkening was an ill-fated Wing Commander spin-off. They were the only two games actor John Hurt ever performed in, but even the rich, rumbling tones of his English voice could do little to save either one. In 1996, two years prior to its release, Entertainment Weekly referred to Tender Loving Care as a “live action game.” It was one in a number of Hollywood chasing projects, like Capcom’s Fox Hunter, that attempted to fuse full-motion video (FMV) with some semblance of traditional gaming mechanics like interactive puzzles or narrative agency. Based on a book by Andrew Neiderman, the game followed a husband and wife whose daughter had died in a car accident. 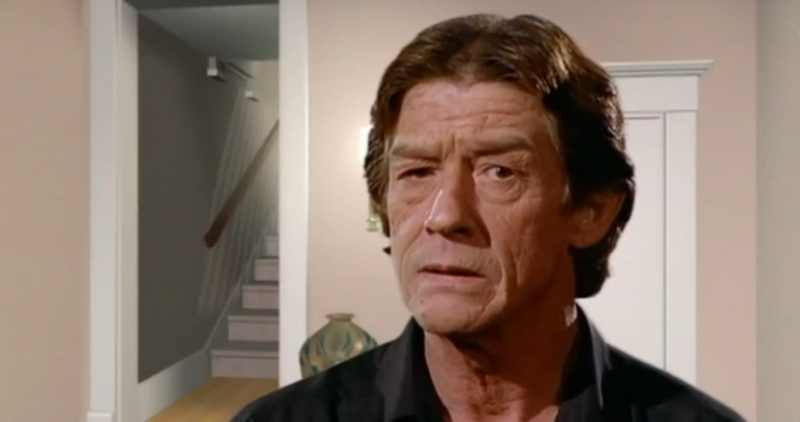 The couple’s psychiatrist, played by John Hurt, suggests they hire a live-in nurse to help them during the period of grieving, but which actually only makes tensions in the household worse. At the end of each of the game’s “episodes,” players interact with Hurt’s character directly, answering his questions about what’s transpired, resulting in different scores which ultimately lead to different endings. The game was re-released on iOS a few years ago. Unlike the 7th Guest which had preceded it, a horror game based around an amnesiac protagonist, Tender Loving Care played more like a series of loosely connected and overly campy employee training videos. The interactions between the characters were stilted, and Hurt’s voice seemed to be calling out for help in-between each question as if trapped in the phantom zone waiting for some unsuspecting player to take pity and release him from the mediocrity of the project by hitting the power button. At the opposite end of the spectrum was Privateer 2: The Darkening, remembered most, if its remembered at all, for having Clive Owen’s charmingly crooked mug plastered throughout it. In addition to Owen, the game also starred Christopher Walken, Brian Blessed, and, of course, John Hurt. The scenes were filmed on a real studio lot with talented actors, but had almost nothing to do with the rest of the game, a creaky mess of ideas pillaged from the previous Privateer, Elite, and the Wing Commander games, The Darkening was a buggy space exploration sim strapped to someone’s vanity film project. Hurt played the bantering and somewhat unhinged bartender of a space station, seemingly trying to scrounge together the poor man’s Brazil in outer space that the game’s developers hoped The Darkening might be. Alas it was not to be, with everyone of the director and Hurt’s good intentions dying under the shade of Owen’s perpetual scowl. Over twenty years later, FMVs have been replaced with finely-tuned motion-capture performances, integrating cinematic performances and gameplay much more seamlessly. But for all of Naughty Dog’s brilliant work imbuing a smile like Nathan Drake’s with the life-like roguishness of a truly human performance, it’s not the same collaboration of programming and film that people like Hurt had signed onto back in the late 1990s. And for better or worse, video games have moved on. John Hurt died earlier this week at the age of 77, leaving behind an extensive and memorable body of work.